Mt. 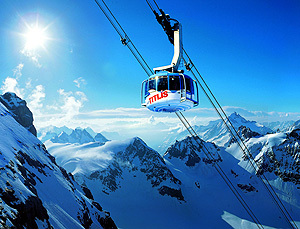 Titlis is a glacier that will leave you spellbound with its majestic beauty. This panoramic area is close to Lucerne and is a favorite venue for international cultural events. 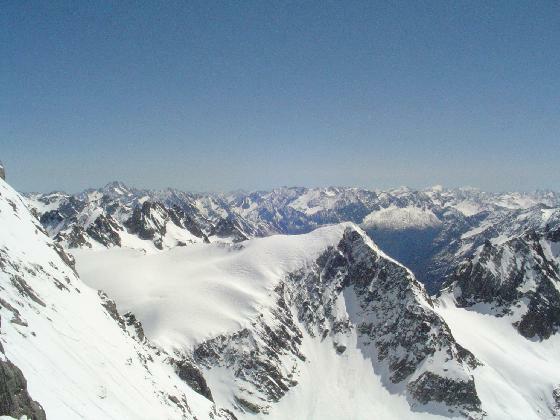 Massively situated at a height of 10,000 you will never forget this experience of ice and snow throughout your life. This snowy paradise is within a short distance of one and a half hours from Zurich, Basel, Lucerne and Bern. This is the first cable car in the world that is capable of revolving. One amongst the various attractions is the revolving cable car. You travel in three different cable cars that take you through an enchanting ice and snow journey to the peak of the mountain. The last cable car which reaches you to your destination is the Rotair. On the way upwards to the mountain peak the cable car’s floor rotates once giving you a totally novel experience. You reach to a height of 3020 meters above sea level where the air is absolutely pollution free and you can even catch a glimpse of Germany’s Black Forest. 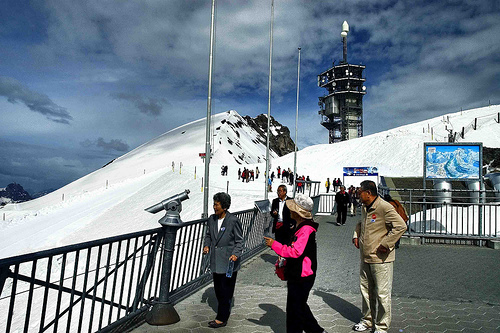 Mt Titlis ushers you into a different world in the center of the glacier which has a ring of walls made of ice. You can explore this fantastic cave by plodding through the tunnel which is 150 meters in length to another tunnel of 20 meters under the surface of the glacier. You will have a unique experience in the cave which is illuminated with lamps and you will be greeted with some unusual sounds as you go deeper down the glacier. Some programmers and personalities have set landmarks in entertainment in television through the television festival Rose d’Or which has been etched for eternity in the Glacier cave’s “Hall of Fame”. 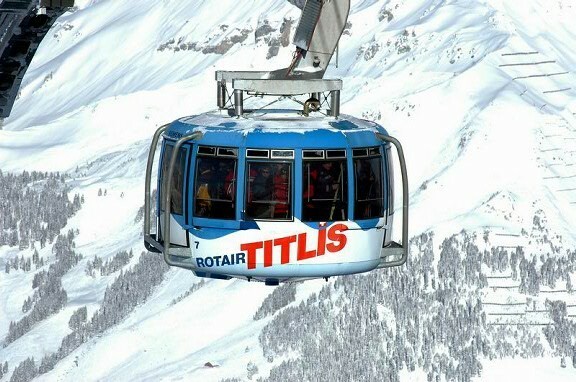 Try to be a little adventurous and immerse yourself in the environment of ice and snow atop Mt Titlis with the ice flyer chairlift. The wonders of the crevasses of the glacier at 3000 meters are exposed for a lifetime experience. Each chair has a large transparent protective shield that fields off wind, rain and snow. The shield can be opened and closed according to convenience and also to provide security. Get a thrilling and spine tingling experience by hanging and staying suspended inside the crevasse of a glacier that is 20 meters deep. This glacier park is packed with fun rides on snow tubes, balancers, scooters, snow snakes and sledges. The Magic Carpets have been placed very advantageously with lot of planning and the moving walkways makes climbing much easier and comfortable. You can visit this park from May to October. 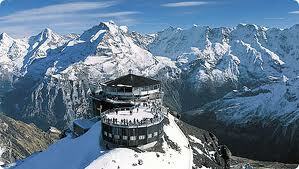 You will find many international cuisines in the Titlis-Stubli restaurant, the Mamma Mia and the Italian Pizzeria. You should not miss the ice cream boutique, the Movenpick Gelati. You can also enjoy a candlelight dinner with wine and Fondue Chinoise. You can tuck into the Indian meals that are prepared fresh at Restaurant Chandra of the Hotel Terrace in Engelberg. You can board any train that leaves at every hour from Lucerne to Engelberg. If you decide to hit the road the journey will take at least half an hour to reach the village, after which you can proceed onto the base station of Titlis and continue your journey in 3 cable cars to your destination.